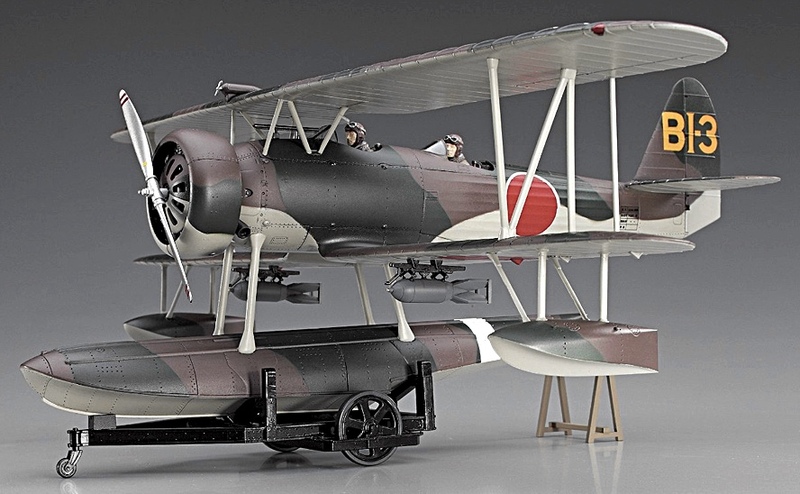 THIS 1:48 SCALE HASEGAWA Nakajima E8N2 Type 95 reconnaissance seaplane (Dave) kit is a neatly engineered model of an aircraft that first flew in 1934. 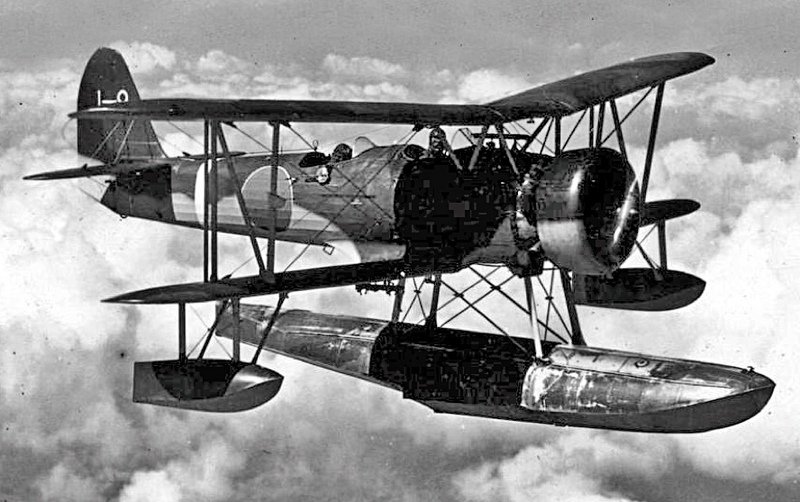 SMN report: The E8N2 kit would partner well with other military floatplanes that flew before and during World War II. This particular release is a Limited Edition that comes with two sets of markings, representing aircraft that flew as the airborne eyes of two Imperial Japanese Navy battleships, the Nagato and the Mutsu. There are also new parts in the box, including aileron rod and oil cooler components. Detail is impressive, as are the nicely sculpted crew figures that come with the kit. As the pictures show, it also comes with crisply moulded beaching trolley equipment, so you don’t have to make a seascape diorama if you don’t want to, though a section of beach or concrete apron would not go amiss. 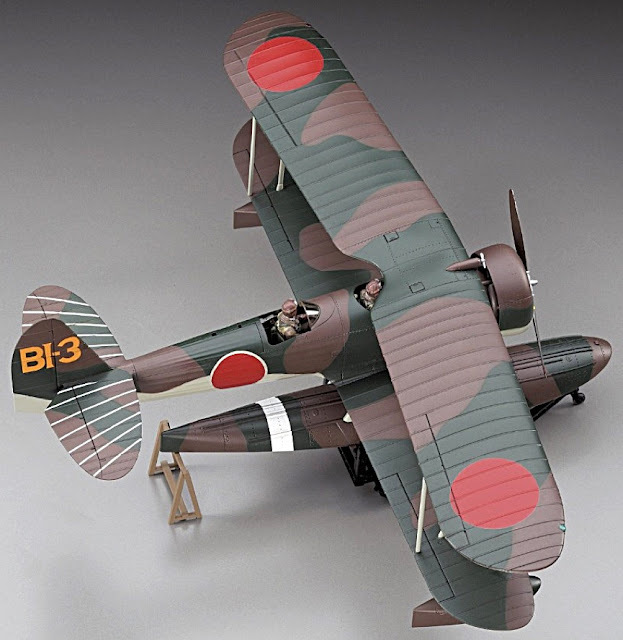 The E8N2 seaplane (below) catapult-launched reconnaissance biplane provided valuable service to the Japanese during the Second Sino-Japanese war (1937-45). But the single-engine biplane looked increasingly slow and vulnerable as the speed and firepower of newer US aircraft made the Pacific skies ever more dangerous. 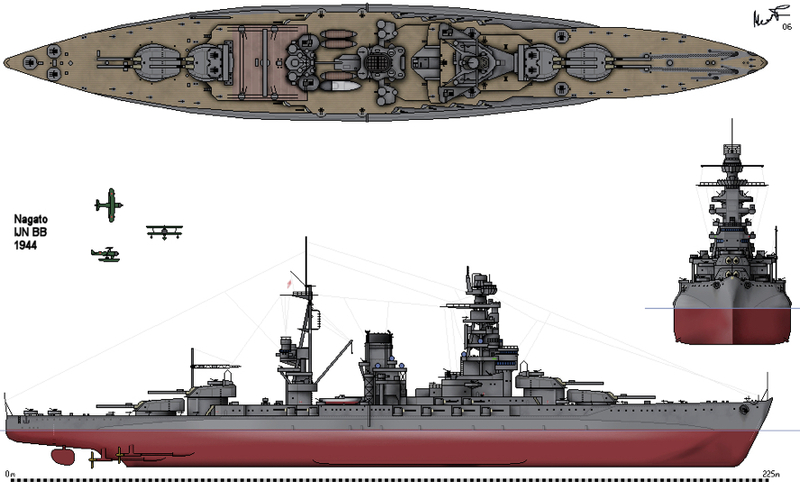 The battleship Nagato sunk after being used in nuclear weapon tests at Bikini Atoll in 1946. Today, the upturned wreck lies some 35 m (110 ft) under the surface, and is reckoned to be one of the best wreck sites in the world for scuba divers. An extremely nice kit of an unusual subject, the largish scale showing its lines to best advantage. Hasegawa make plenty of interesting kits of Japanese aircraft, as the scrolling ad (below) shows.